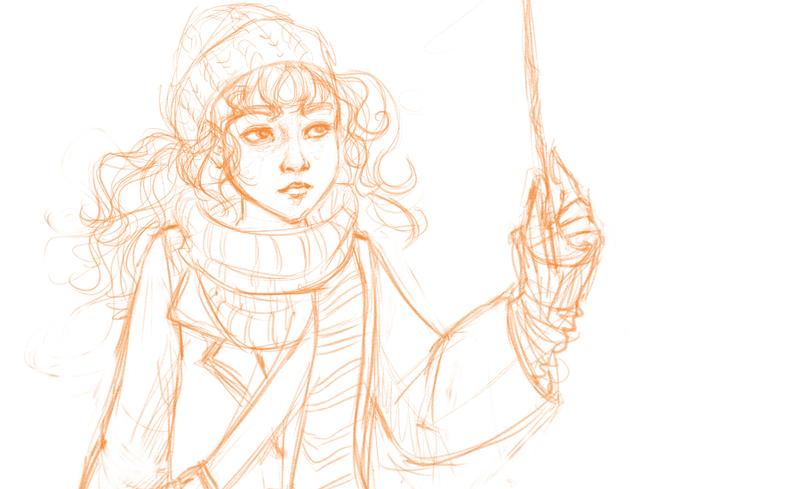 My take on Hermione Granger. This was a Sketch_dailies prompt. Started out a bit different than I planned. Not sure that’s a good thing. Created with Manga Studio 5. The full image is below. I spent a lot more time on her face, as you can see. Rough drawing… still different than my original idea. 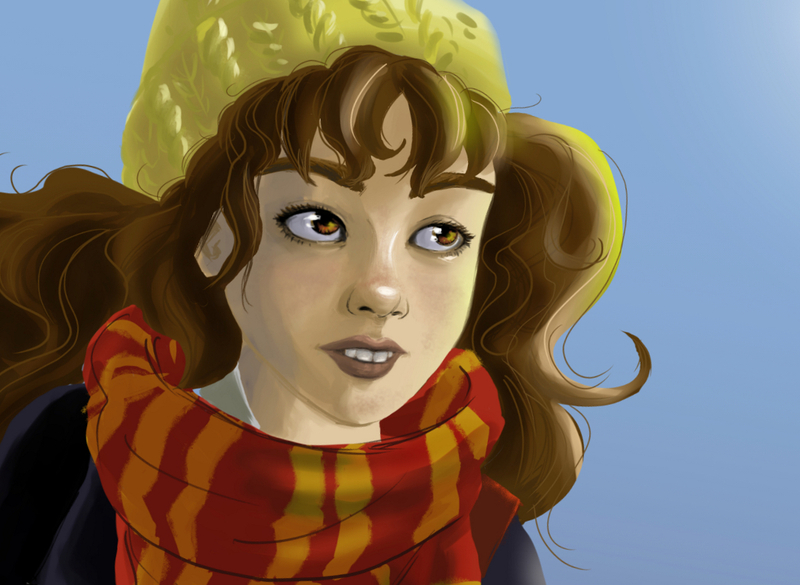 Even if I could draw portraits to save my life, I didn’t want to draw a version of Emma Watson as Hermione. I wanted to create my own concept of her.